A RAFT of improvements including the very latest technology and driver assistance systems are being incorporated into tweaked versions of Ford's top-of-the-range SUV which are due in dealerships in January. 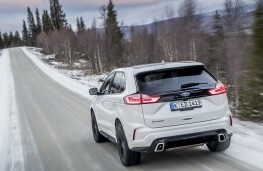 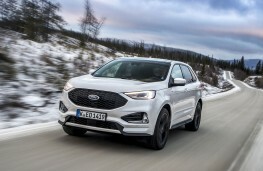 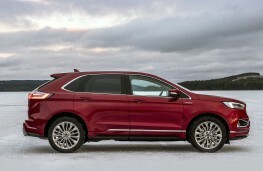 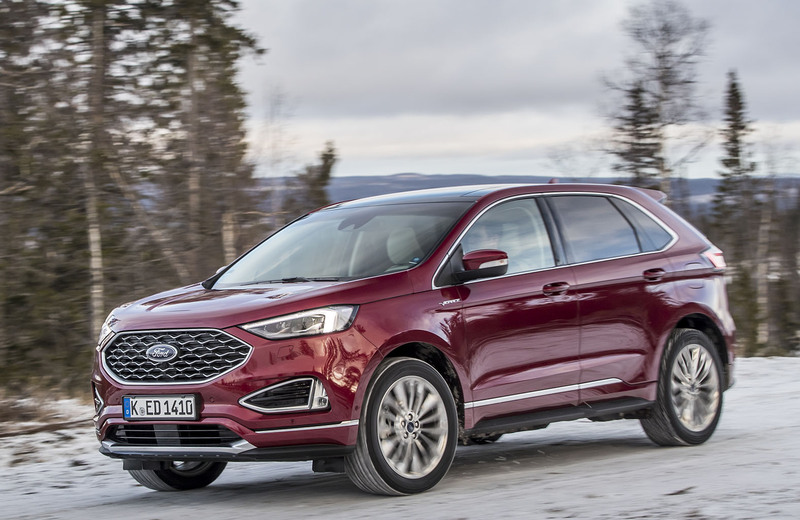 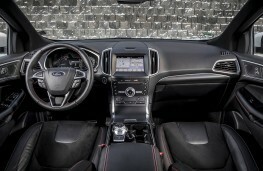 Ford says that the 2019 Edge will be the company's most technologically advanced sports utility vehicle ever, offering a comprehensive range of camera and sensor-based driver assistance technologies designed to make journeys more comfortable and to help drivers avoid or mitigate the effects of collisions. 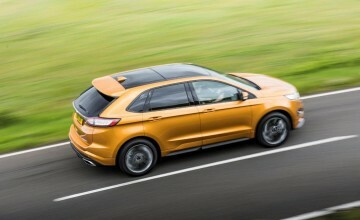 In addition, the new range will be offered with a new, 238PS bi-turbo variant of Ford's twoâlitre EcoBlue diesel engine mated to a new intelligent eight-speed automatic transmission which the company says delivers the power of a larger capacity engine but with the optimised fuel-efficiency of a smaller engine. 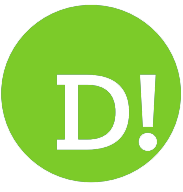 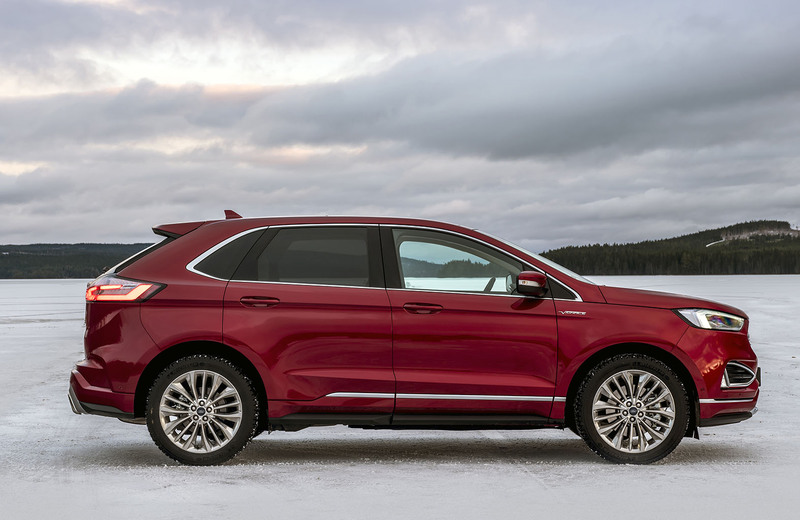 The new Edge also features an enhanced version of the company's intelligent all-wheel-drive system which now has the ability to automatically switch seamlessly between two-wheel drive and four wheel drive in milliseconds dependent on road conditions. 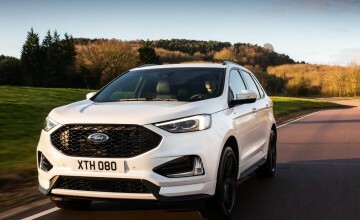 There are minor styling updates including a wider grille with a unique finish for each trim level, a redesigned bonnet, LED head and taillamps and a freshened fascia. 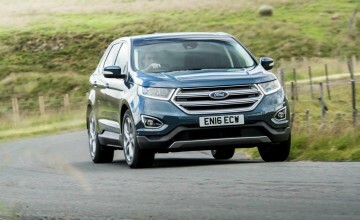 Available tech - depending on model - includes adaptive cruise control with stop & go and lane centering, postâcollision braking and evasive steering assist which uses radar and a camera to detect slower-moving and stationary vehicles ahead and provides steering support to enable drivers to manoeuvre around a vehicle if a collision is imminent. 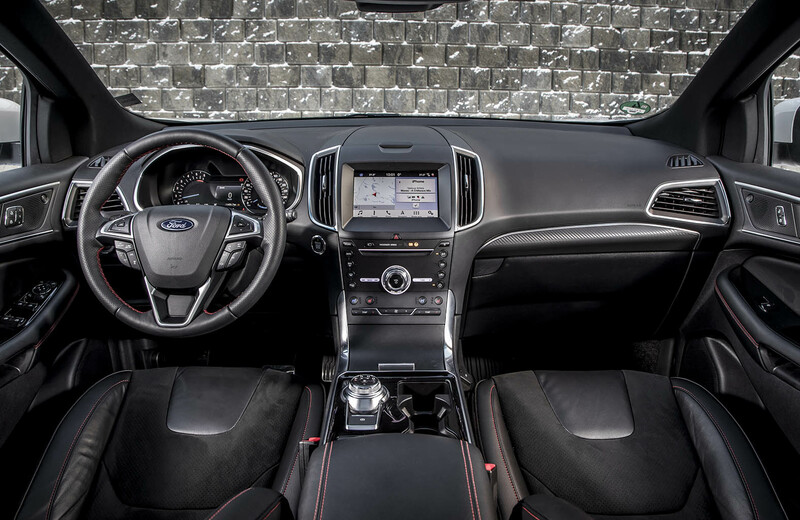 The new Edge also offers a new configurable digital instrument cluster with animated analogue-style instrumentation that allows drivers to personalise the layout of the speedometer, rev-counter and vehicle information displays to suit their own preferences. 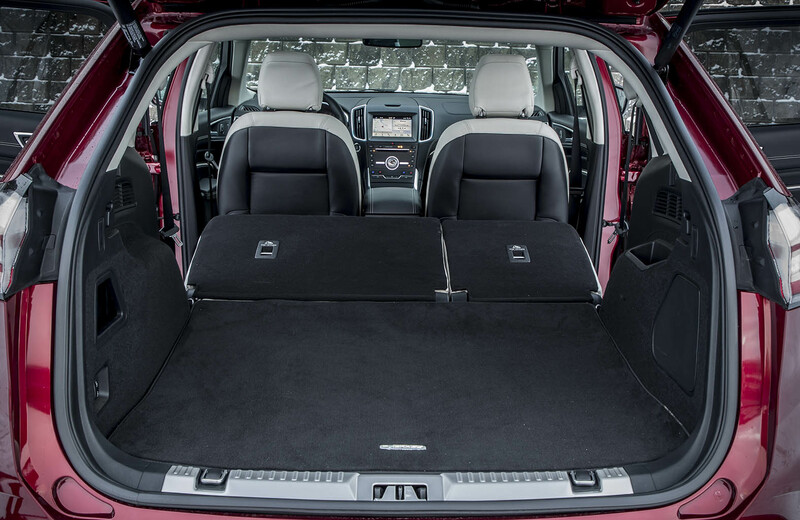 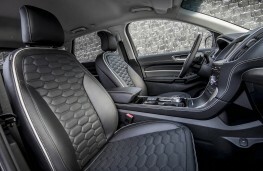 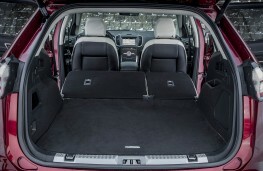 Other comfort and convenience technologies include a full-length panorama roof, heated and cooled front seats, heated rear seats and a heated steering wheel. 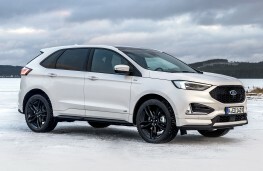 As before, the latest Edge will be available in three trim levels - Titanium, ST-Line and Vignale -with prices starting from £36,995.